Obeying God isn’t necessarily easy. In fact, it may be the most difficult thing we do. Abraham knew that obedience was difficult. When God commanded him to sacrifice his son Isaac, he couldn’t imagine why God would ask such a thing. But he knew it was important to do what God said. 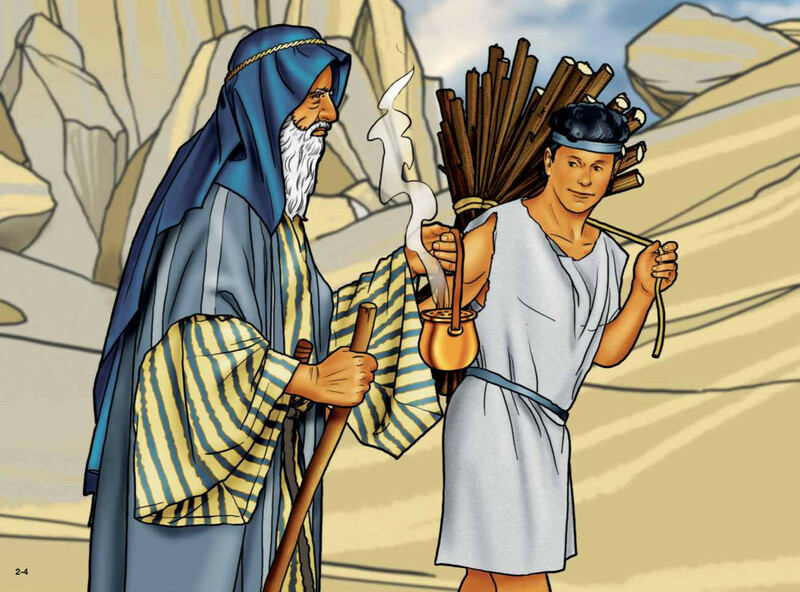 As it turned out, God had planned to spare Isaac, and Abraham’s obedience became a wonderful example. We must follow God’s command too. It might not be easy, but it will be worthwhile. Jesus addressed the issue of reaching every nation with the Gospel. He said, “And this gospel of the kingdom will be preached in the whole world as a testimony to all nations and then the end will come” (Mt 24:14). He went further in the book of Mark. He commanded, “Go into all the world and preach the good news to all creation” (Mark 16:15). Of course children are part of this plan. How many have obeyed this command? Child Evangelism Fellowship® is obeying God and is taking this command very seriously. God has given us the freedom to make our own choices, even about obeying Him. He helps us by giving us some great examples in the Bible. Unfortunately, many people don’t always pay attention, and we don’t always make wise decisions. In 2007 God put a burden on the heart of our president Reese Kauffman to make a special, concerted effort to establish daily CEF ministry in every nation of the world by 2017 so that boys and girls everywhere could hear about Jesus. By obeying God’s leading, we have seen God work in unbelievable ways and many nations have been opened for the work of CEF®. You can miss a miracle if you fail to obey God. The widow who lived in Zarephath would have missed one if she hadn’t been obedient when she ran out of food. Elijah the man of God told her exactly what to do and she obeyed him. As a result of her obedience, God performed a miracle for her. All CEF families around the world are focusing on our 80th anniversary. It will be a joy to celebrate what God has done in and through CEF in these 80 years. We are anticipating great things to be shared during this historical event, whereby we will be also celebrating our faithfulness in obeying God in taking the Gospel into every nation. We must follow God’s commands too. It might not be easy, but it will be worthwhile. If you are currently finding it difficult to obey God, be assured that it is well worth the effort. Be like Abraham.